What Happens to Your Body When You Adopt a Plant Based Lifestyle? In this episode of the Vegetarian Zen podcast, we discuss some of the changes that can occur in the body as a result of ditching animal products in favor of healthy whole plant foods. 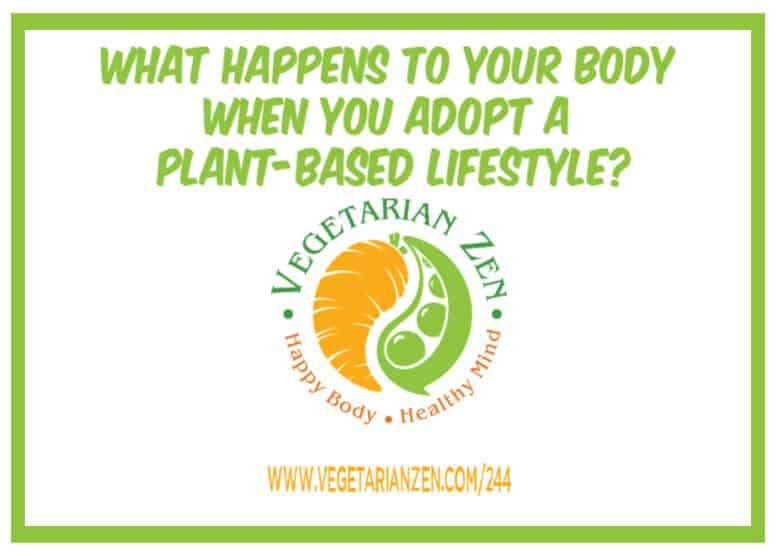 Question: Did you experience any positive (or negative) changes after adopting a plant based lifestyle? I became a vegetarian in July 2017 and I feel so much better. I also only consume a small amount of dairy which is basically just cheese. After switching, I noticed my taste changing and I also noticed that I had no desire to eat sugary desserts, such as ice cream which was my complete go to. I am a very active runner and since going veg my body recovers better and faster after long runs. Keep it up! I love listening to you all!